Popular eco-friendly brand delights once more with bright colors and playful, bold graphics. Drawing inspiration from children’s artwork and experimenting with graphic design, founder Janel Jones has created a vibrant Fall/Winter 2012 collection for babies and children using a mix of certified organic cotton, bamboo fiber and a touch of spandex. The newest Nohi Kids collection features fresh prints and color combinations, including whales, disco dots, pears and geckos- all with a touch of whimsy. We create comfortable, high quality, and eco-friendly clothes that appeal to both kids and their parents. We are the favorite dress or tee shirt that your child won’t take off. And, we want to be sure that our clothes are durable enough so that you can pass them down to the next lucky kid. The expanded Nohi Baby collection débuts rompers and newbie gowns in addition to classic bodysuits, yoga pants and reversible blankets. 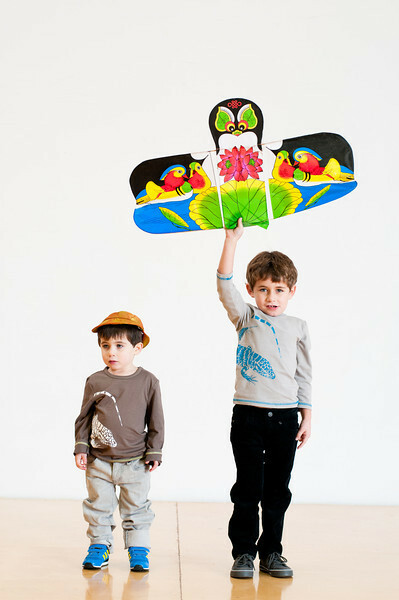 Bestsellers, including their signature Hoots owl print, are back as well as new favorites- multi-colored whales, Mack trucks and flocks of birds- perfect for tiny newcomers. For bigger kids, Nohi débuts a playful wrap-around gecko graphic long-sleeved tee, skateboard and motorcycle tees for little daredevils, and a drum tee. Pear print and disco dot print sash dresses are also new for fall, available in sizes 12-18 months to 7/8. Solid and print leggings are designed to complement these dresses as well as mix and match with the entire collection. Janel explains that in the Maori language, nohi nohi means, “to be small.” In Japan, the popular national holiday Kodomo Nohi is a day to celebrate children. And in Hawaiian, nohi means “brightly colored and vivid.” She says, “So, I suppose a Nohi Kid is a bright, vivacious little thing just oozing with personality!” Indeed. The company is committed to doing its part to improve the lives of children. A portion of sales from the Fall/Winter 2012 collection will be donated to the Caine’s Arcade Imagination Foundation, dedicated to finding and fostering creativity and entrepreneurship in kids. 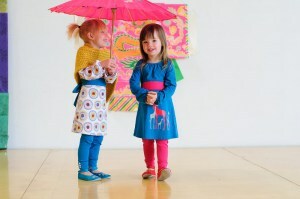 The Nohi Kids fall collection is available in stores now and at www.nohikids.com. Thank you, Adrienne Dorsey of Magnolia PR for introducing me to Nohi Kids!